SUNNY ISLES BEACH, Fla.-- Numerous people were injured in an explosion at a Sunny Isles Beach building in Florida on Friday, reports CBS Miami. Fire officials say a gas leak caused an explosion in the boiler room of a penthouse at a Miami-area high-rise, injuring at least four people. Muria Serrano, public information officer for Miami-Dade Fire Rescue, says two people were taken by air to a trauma center. The explosion happened Friday at the top of a high-rise residence in Sunny Isles Beach, a city about 20 miles north of Miami. Around noon, fire rescue trucks could be seen near the Chateau Beach Residences building. 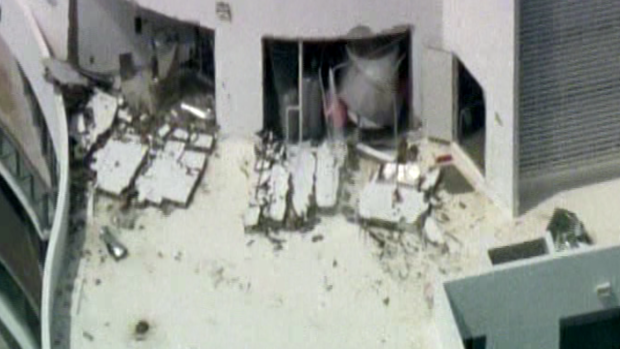 CBS Miami's chopper was over the scene as a section of the top of the building could be seen apparently collapsed near a room that looked like a boiler room.